Oh me, Oh my!!!! 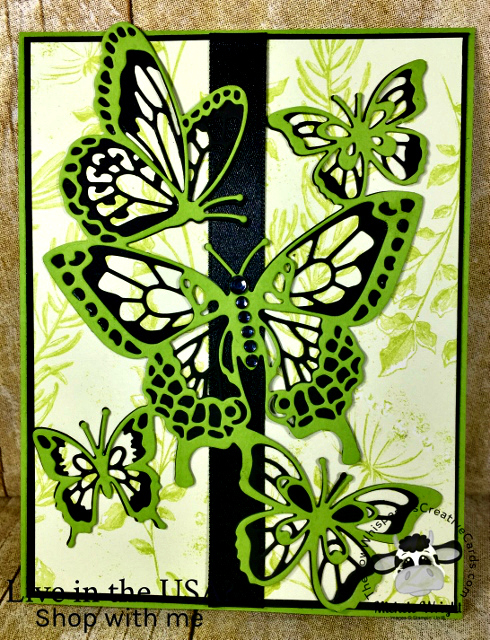 I can not express enough, how absolutely amazing the new Butterfly Beauty Thinlits are, as the pictures just don't do these cards justice. 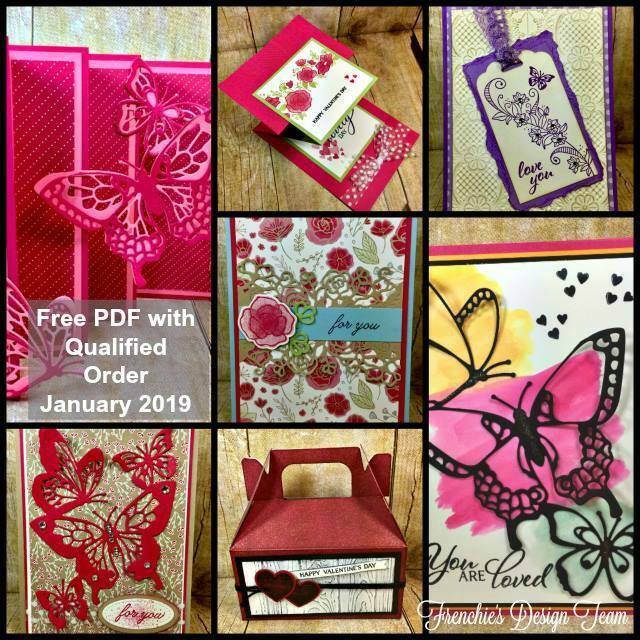 Remember you can get the Beauty Abounds Bundle which includes the Beauty Abounds Stamp Set and the Butterfly Beauty Thinlits and save 10%. 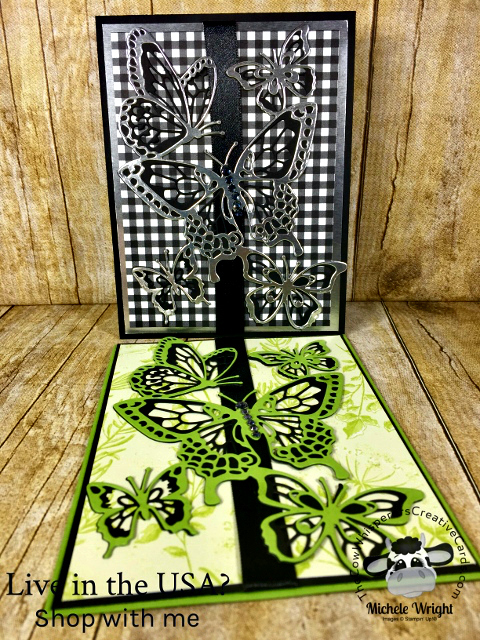 These cards pack a huge visual punch and are a snap to make, as the dies do most of the work for you. 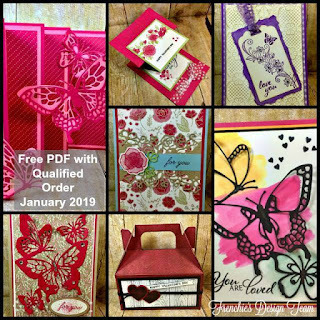 As you'll see in the video below the Granny Apple/Basic Black version uses the Botanical Butterfly Designer Series Paper, which you can earn for FREE as a Sale-A-Bration item now with a qualifying order of $50 (before tax and shipping). The Silver Foil and Black version was created using my Stamparatus and the owe so popular Buffalo Check Stamp. I love how they are both such striking cards, but each so unique as well. I used our lovely Black Satin Ribbon on both cards for just a bit more texture. 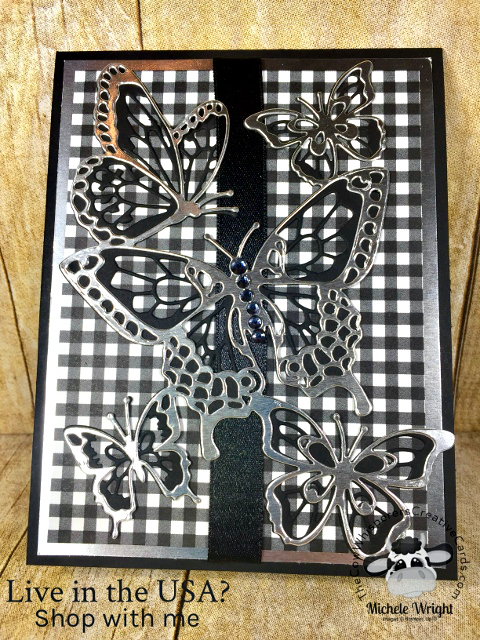 First Layer - Silver Foil - 5 1/4" x 4"
Butterfly Die Layers - Basic Black & Silver Foil - 5 1/4" x 4"
Ribbon - Black Satin - 7"
The cards are beautiful! Love your colors & design! Awesome!